We report synthesis of triphenyl(propyl-3-hydrogen sulfate)phosphonium bromide ([TPPHSP]Br) as a reusable green Brønsted-acidic ionic liquid catalyst and its application for synthesis of 5-arylidene barbituric acids and pyrano[2,3-d]pyrimidine derivatives by condensation reaction between aromatic aldehydes and barbituric acid or aromatic aldehydes, malononitrile, and barbituric acid in EtOH–H2O in reflux condition with good to excellent yield. The [TPPHSP]Br IL catalyst was characterized by Fourier-transform infrared (FT-IR) spectroscopy, 1H and 13C nuclear magnetic resonance (NMR), and thermogravimetric (TG) analysis and showed good catalytic activity and reusability. 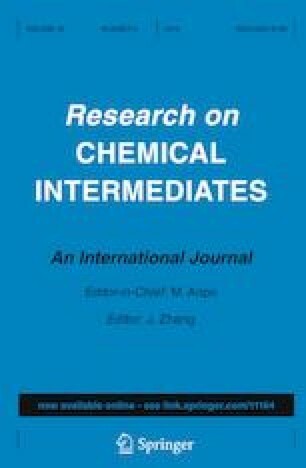 The online version of this article ( https://doi.org/10.1007/s11164-019-03798-0) contains supplementary material, which is available to authorized users. We are grateful to the Research Council of Shahrekord University for support of this research. The authors would like to thank Dr. Heshmat A. Samimi for reading this manuscript and giving helpful assistance.